PayPal has the benefit of being both fast and widespread enough to be essential online payment system. Yet, can you make use of its qualities to buy Ethereum (ETH) without hassle? 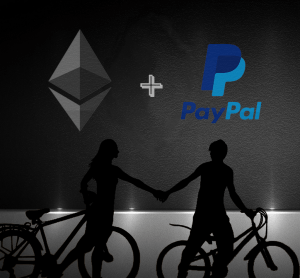 Luckily for you, there actually are three methods to buy Ethereum with PayPal instantly, but the procedure might not be as simple as the title may lead you to conclude. First, you can forget the idea to use PayPal to buy Ethereum directly on regular crypto exchanges. Yes, this may change quite soon, but, at the moment, your safest bet is to fire up your PayPal to get Ethereum via other trading platforms. You buy the actual asset whenever you long it. 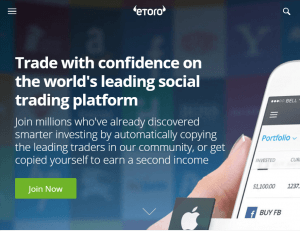 You can also withdraw your coins to a dedicated eToro wallet, but it doesn't support every coin on the platform yet. It does support Ethereum though, making eToro one of the most beginner-friendly ways to buy ether with Paypal. The second method is to visit the LocalBitcoins site which operates as an informal peer-to-peer exchange for the BTC enthusiasts. Depending on who you get in touch with, that person may be willing to accept PayPal payment from you in exchange for their Bitcoins, which you can promptly convert into Ether. For that, you'll also need to register on an altcoin exchange like Coinbase, Binance, Bittrex, HitBTC, Poloniex, KuCoin or similiar. Check out our reviews and guide on how to get altcoins to see which exchange suits you best. Finally, the most direct way to buy Ethereum with PayPal is actually a bit riskier, but no less than what you have if you decide to use LocalBitcoins. 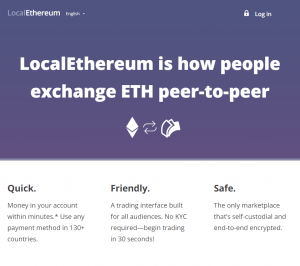 LocalEthereum peer-to-peer platform functions just like its Bitcoin-oriented counterpart and some users will be willing to sell you their Ethereum in exchange for PayPal payment. Bear in mind that the risk of frauds on these sites is significantly higher compared to formal exchanges – look for reputable traders only as the only thing standing between you and a successful scam is your wits. As you can see, there are multiple ways to get ETH with PayPal. Please see our other guides if you want to learn more about Ethereum and cryptocurrencies.